Tavares will present a new strategic plan on April 5. 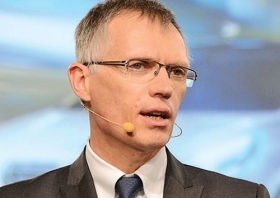 PARIS (Reuters) -- French government representatives on PSA/Peugeot-Citroen's board oppose the sharp increase in remuneration of the automaker's CEO Carlos Tavares, a French newspaper reported. The French government, which owns 14 percent of the carmaker, has recommended that companies in which it holds a minority stake should cut the leader's remuneration by 30 percent, Les Echos reported on its website on Monday. PSA and the French finance ministry declined to comment on the Les Echos report, which did not cite sources.